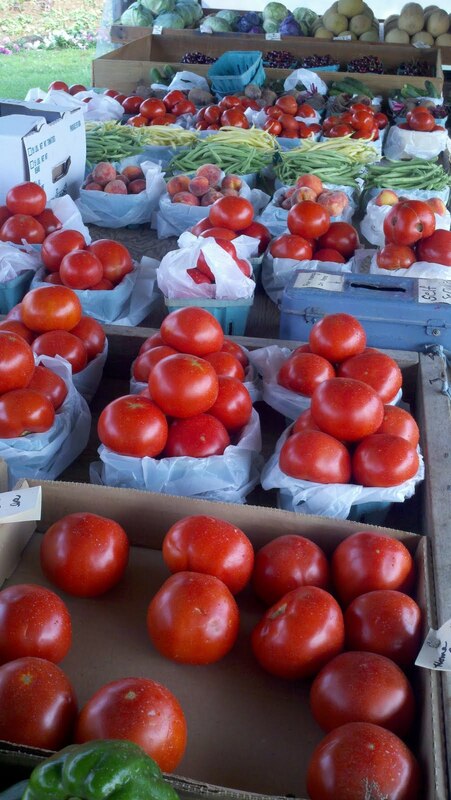 You just can’t beat the fresh taste of summer foods...tomatoes that are still warm from the sun, corn that crunches on the cob and vegetables that look like they are posing for the latest gourmet magazine. Lancaster County is all about food – after all, we provide it for over six million people a year and grow countless acres of feed for animals too. I thought about all that tonight as I ran out for some tomatoes at the farm stand around the corner - how lucky we are to live in a climate with ample rainfall, and the richest non-irrigated soil in the country. One time I stopped at this stand and the farmer had run out of lettuce...when I inquired if he had any, he produced a knife and went out to the field to cut a small head of lettuce, for which he charged me only half price. Now THAT is fresh! We really delight in showcasing these local foods at The Artist’s Inn. The breakfast tomorrow will feature zucchini bread, cantaloupe with lavender syrup, roasted potatoes, asparagus and swiss frittata, dutch apple sausage and double chocolate brownies. Everything is from Lancaster County: the flour, eggs, milk, cheese (from a certified organic old-order Mennonite cheese farmer not a mile from our inn), cocoa and chocolate from Wilbur (in Lititz) and the sausage is made at Shady Maple Farm Market – just three miles up the road. Even the lavender and the herbs are from the inn garden. 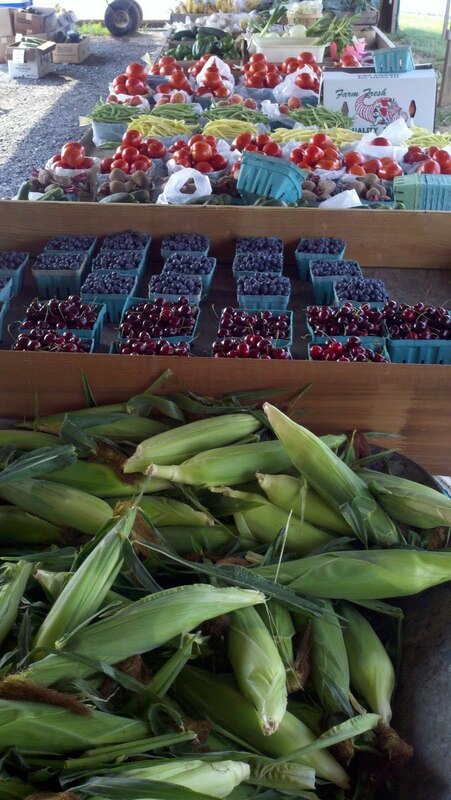 The best part is that when you visit, you can take home much of the home-grown goodness of Lancaster County. 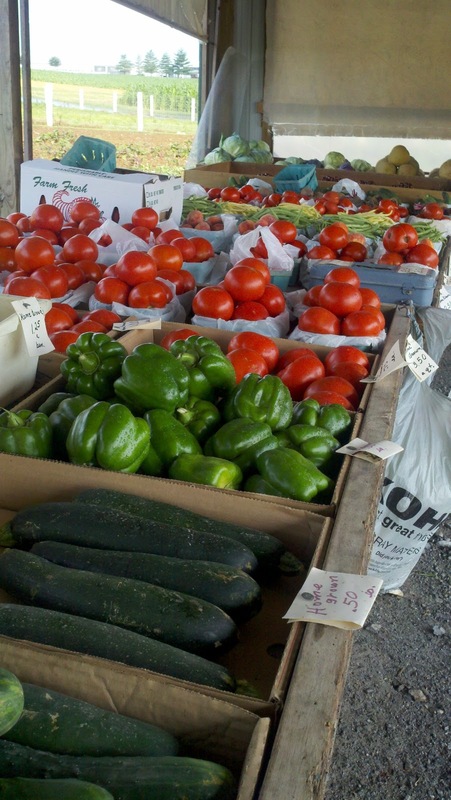 Just ask us where our favorite farm stands are located. 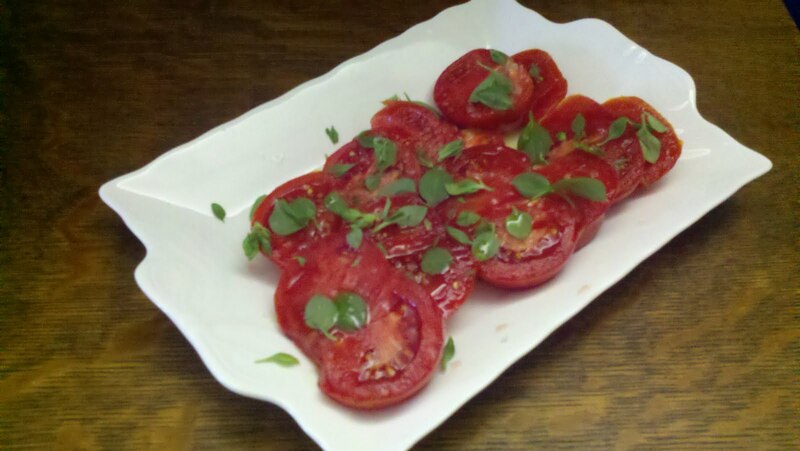 Here’s a very simple side dish that we live on in the summer: Fresh tomatoes, sprinkled with baby basil leaves, balsamic vinegar and sea salt. 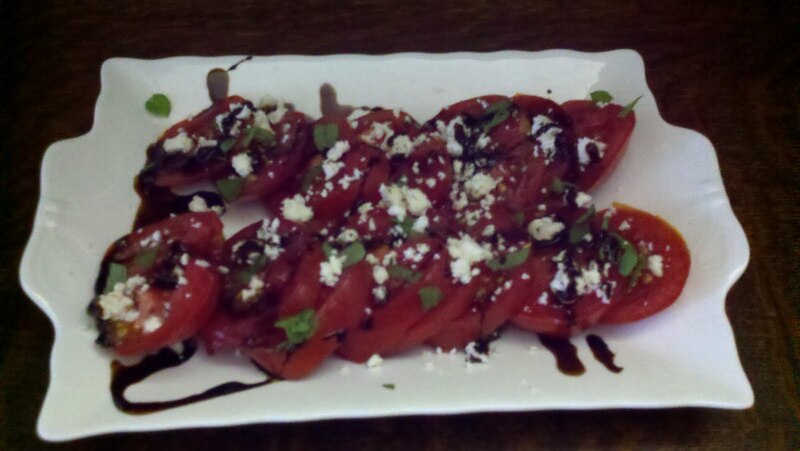 Add a little Lancaster County goat cheese and I’m in heaven....or maybe just in Lancaster County. We live in Landenberg, just outside of Lancaster Co. I come up there OFTEN!!!! Would love to come stay at your Inn sometime! That would be great! We'll look forward to your visit. We're getting a lot of tomatoes...will have to fix them the way you mentioned here. LOVE your veggie photos!